Conservationists in Scotland are watching the march of the grey squirrel northward with considerable alarm. They believe the red squirrel, indigenous to the British Isles, could be completely wiped out in a generation, and they are blaming the grey squirrel, which was introduced from North America in the late 19th century. 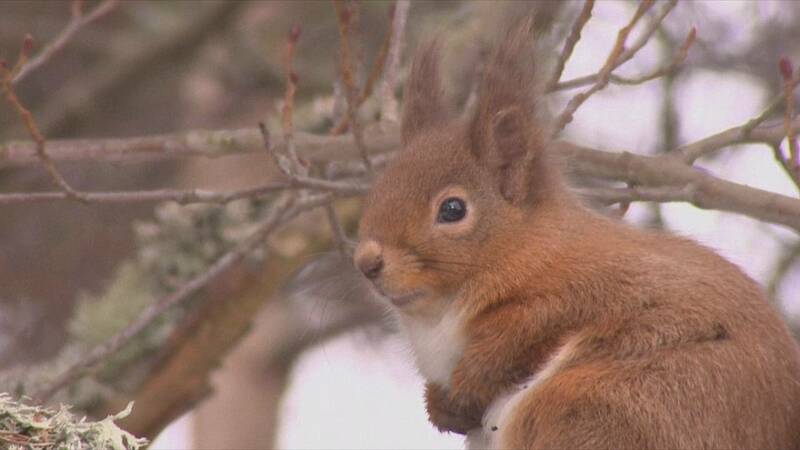 The smaller red species has almost completely disappeared from England and Wales and greys have now breached what’s known as the Highland Red Squirrel Protection Line that runs from Montrose on the east coast of Scotland to Inverary in the west. Conservation charities say immediate action is needed – and this means culling. But not everyone agrees that the grey squirrels are responsible for the decline. Opponents of the culling programme cite the destruction of habitat by humans and counter claims that it is the grey squirrels that spread disease to the red species. Conservationists are is now calling on landowners, especially in remote regions of the northwest Highlands, to make their woodlands available for new populations of reds. Three-quarters of the UK’s red squirrels live in Scotland and on islands like Anglesey and the Isle of Wight.